> The Brewers lost to the Padres last night, 5-3. Tom Gorzelanny was cruising for the most part up until the sixth inning, when he gave up a game-tying double to Carlos Quentin and what would be the game-winning hit to Jesus Guzman. Jean Segura and Jonathan Lucroy hit back-to-back doubles in the first inning to give the Brewers an early 2-0 lead, but that was about the only damage done to Padres starter Andrew Cashner. From a logical standpoint, this isn’t that big of a deal, to be honest. This is a lost season in which Braun wasn’t contributing to already, so not much changes from here on out. I’d rather he miss the rest of this season than the first half of next season. He can come back and have a fresh start. But I know I speak for a lot of Brewers fans when I say I don’t know what to feel emotionally. 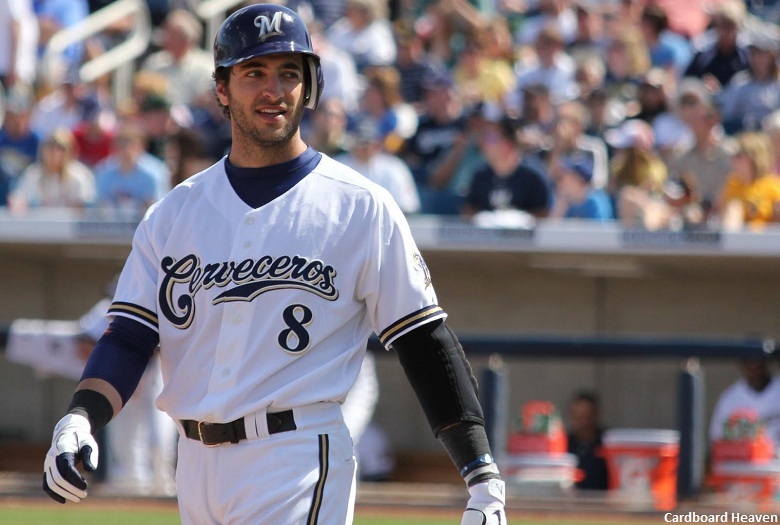 Braun has been my favorite player ever since his call-up in 2007, and it was amazing watching what could have been a Hall of Fame career develop during his first few years in Milwaukee. 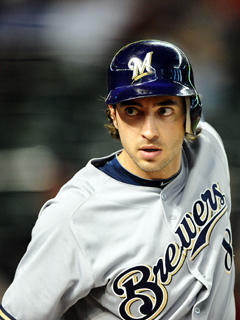 Yesterday, though, Braun admitted to using performance-enhancing drugs. That changes everything. It means he’s been lying for the better part of the last two years. I almost don’t want to believe it. If you’ll recall, the day after his exoneration in March of 2012, he made a speech at the Brewers’ Spring Training complex in Maryvale, Arizona. It was a great speech, in my opinion, and he was so defiant about not having taken PEDs that I wouldn’t have believed for a second that he did it. But apparently he did. Like I said, the suspension works out well for the Brewers from a logical standpoint, but I don’t think the emotional toll that this takes on the Brewers fan base that has tried to support and defend him through all of this will ever go away. For me, at least, the worst part of this will be the way other teams’ fans will treat Brewers fans (and the team as well). After the news broke yesterday, I could hardly look at my timeline on Twitter (following Cardinals fans certainly comes back to bite you in situations like these). Oh well. We all knew it was coming, and now this fanbase is in tatters. But we won’t be the only ones. > One thing I strongly disagree with, however, is everyone saying Braun should apologize to certain parties, Dino Laurenzi Jr. in particular. The fact that Braun is getting suspended now doesn’t mean he did his job right. In fact, you could argue that it’s even worse. None of this changes the fact that Laurenzi kept Braun’s urine in a refrigerator in his basement overnight. Had Braun been suspended back in early 2012, then sure, maybe apologize to Laurenzi (but that’s assuming he would have done the job correctly). The whole reason Braun didn’t get suspended until now is because of his error. Braun also doesn’t need to apologize to the Arizona players who feel “cheated” from losing the NLDS in 2011. Because it’s given that ALL of their players were clean at the time, right? > And my last note on this subject: it’s irritating that MLB went out of its way to isolate Braun from the rest of the pack, meaning everyone else related to the Biogenesis clinic. Those hundreds of players across professional baseball are just as guilty as Braun and have been lying all along as well. I don’t see any reason to go after Braun specifically. But, with Braun out of the way, MLB is going to stop at nothing to suspend everyone related to the Biogenesis clinic. Alex Rodriguez is going to get absolutely hammered. Yasmani Grandal, Jhonny Peralta, and Melky Cabrera are just a few other names that were on that list. Other fan bases are about to be crushed along with us. 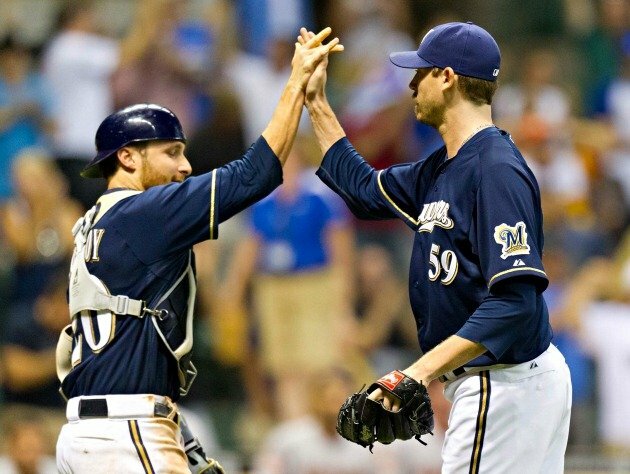 > Three Brewers relievers have been drawing interest recently: John Axford, Jim Henderson, and Francisco Rodriguez. 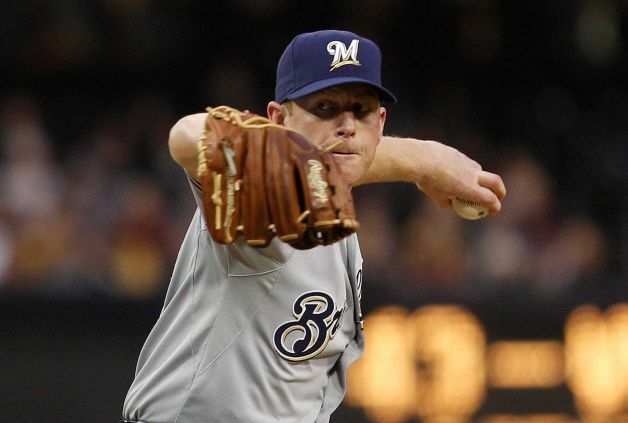 The Tigers, Dodgers, and Red Sox have reportedly been heavily scouting the Brewers’ relievers recently. > Yovani Gallardo remains a trade target, but since it was reported that the Diamondbacks and Rockies were interested in him, there haven’t been many rumors surrounding him. > The Brewers play the second game of this four-gamer with the Padres tonight at 7:10 PM CT. Donovan Hand (0-1, 3.27 ERA) will go for the Brewers and be opposed by spot starter Tyson Ross (0-4, 3.60 ERA). > Coming into this road trip, I thought the Brewers were going to win six straight games against the National League’s two worst teams. Unfortunately, I once again underestimated the ways of the Brewers’ bullpen. The Brewers lost to the Rockies today, 7-6, and were swept by the NL’s second worst team. That comes off the heels of a series loss to the worst NL team, the Astros. The Brewers finished 1-5 on this road trip, and you can say this is the new low point of the season. That is, if you’ve already gotten over the thousand other previous low points. The Rox jumped on Mark Rogers right away in the first inning, getting three runs on RBI hits from Ramon Hernandez and Chris Nelson. They added another in the second inning on a solo shot from the hot-hitting Eric Young Jr.
Guillermo Moscoso, spot-starting in place of Drew Pomeranz, danced around danger through the first few innings, stranding seven runners through the first four. But the Brewers finally solved him in the fifth. Moscoso walked Carlos Gomez to lead off the inning, then gave up three straight hits to Rickie Weeks, Aramis Ramirez, and Corey Hart. Moscoso’s 75-pitch limit then came into play, so Jim Tracy brought in Carlos Torres, who only continued the trouble. Torres started his outing by hitting Jonathan Lucroy to load the bases, then gave up a game-tying single to Nyjer Morgan to make the score 4-4. Jean Segura hit a go-ahead sacrifice fly, and that was all the Brewers would get. Rogers gave up a game-tying single in the bottom of the inning to Nelson, but the Brewers answered back with another g0-ahead hit in the sixth, this one from Morgan. Up until the ninth inning, the bullpen was doing fine. Jim Henderson came on for the ninth, and struck out the first batter he faced. But, he proceeded to give up back-to-back singles to Wilin Rosario and Young. Then, as if on cue, Tyler Colvin hit a walk-off two-run double. Make that three closers in the ‘pen who can’t get the job done. Oh well, nothing here we haven’t seen before. Useless to try and explain it. Again. > In very surprising news today, Melky Cabrera was hit with a 50-game suspension for testing positive for testosterone. That means he’s out for the rest of the season, and potentially the National League Division Series, should the Giants somehow make it there without his presence. Cabrera was hitting .346 while leading the Majors in hits with 159. He was on pace to have a career year and was igniting an otherwise weak Giants offense. He was also the MVP of the All-Star Game. Now, I’m not going to come down on Cabrera here, because I know I’m going to get nothing but hate as a Brewers fan. People on Twitter were actually directly addressing Brewers fans not to get cocky during this situation, for some reason. Don’t know why you’d call out fans of a team whose MVP was exonerated before even getting on Cabrera- who admitted to taking an alleged substance- for what he did. Oh well. Hopefully this humbles any Giants fans who were mocking Ryan Braun earlier this season (I’m pretty sure he was booed in San Francisco). > Melky was banned for 50 games, but hopefully you already know that. > In the midst of the slump I wrote about last night, Braun received an off-day. > The Brewers are planning for Shaun Marcum to return sometime next week. He’ll make his second- and hopefully last- rehab start tomorrow for the Timber Rattlers. > Felix Hernandez threw the 23rd perfect game in history today against the Rays. I watched the last three innings, and I don’t know what he looked like early in the game, but he was utterly nasty those last three innings. Rays hitters weren’t even remotely close to making solid contact, or any contact at all, for that matter: King Felix struck out 12. > The Brewers haven’t won a series at Coors Field since 2005. It all makes sense now. > This was Henderson’s first career blown save, so maybe it’s not worth throwing him in the trash yet. I still trust him more than John Axford or Francisco Rodriguez. Royals hope to improve pitching staff with… walks? > The Royals and Giants started the second week of 2011’s offseason with a somewhat surprising trade. Melky Cabrera, the Royals’ regular center fielder, has been sent to the Giants in exchange for lefty starter Jonathan Sanchez. The Giants also sent Minor League pitcher Ryan Verdugo along with Sanchez. Cabrera is coming off a career year with the Royals, which is why it kind of surprises me that they would just trade him. He hit .305 with 18 home runs and 87 RBIs- not bad for being on a fourth place team. But, those numbers will probably help the Giants, who have close to no offense in their lineup. Sanchez, on the other hand, missed most of 2011 and made just 19 starts, going 4-7 with a 4.26 ERA. But, in 2010, he went 13-9 with a 3.07 ERA, and threw a no-hitter in 2009 against the Padres. > The Twins fired GM Bill Smith in favor of Terry Ryan today. I guess this wasn’t extremely surprising, considering the Twins looked nothing like the playoff team they usually are in 2011, as they went 63-99. But, before this season, the Twins had won four division titles under Smith. Justin Morneau, Joe Mauer, and Tsuyoshi Nishioka certainly didn’t help Smith’s case. Morneau and Mauer, two former AL MVPs, were signed to big, multi-year contracts back in 2008, but have been plagued with injuries and inconsistency ever since. Nishioka, meanwhile, was signed after the Twins won a bidding to sign him from the international free agent pool, and, courtesy of Nick Swisher, was injured just a few months into his first season in the MLB. Anyway, as of right now, Ryan is considered the interim GM, meaning his job may not be permanent if the Twins find someone better. Ryan has already been the Twins GM (1994-2007), and served as the senior adviser up until this point. > And that was about all the news for today. There was no Brewers’ news, unfortunately, but I guess that’s to be expected early in the offseason. But I did hear that the Winter Meetings are going to be held in Milwaukee this year, which is pretty cool. > Anyway, feel free to leave a comment or something. Anything to make this site look at least remotely busy.